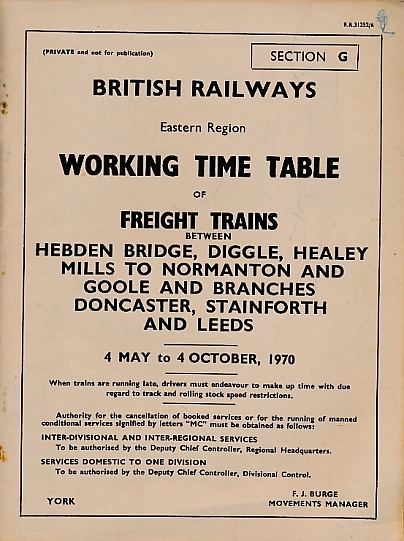 British Rail. Eastern Region. 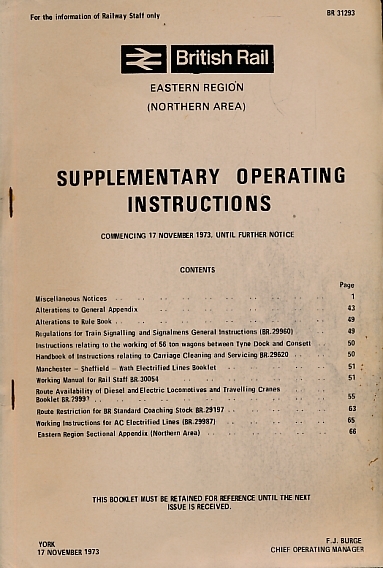 Suuplementary Operating Instructions. November 1973. 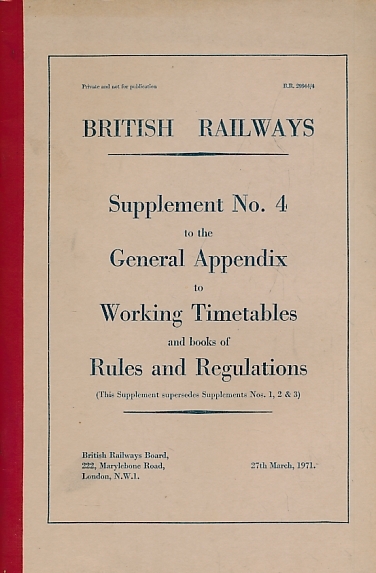 British Railways. Eastern Region. Working Time Table of Conditional Train Services. 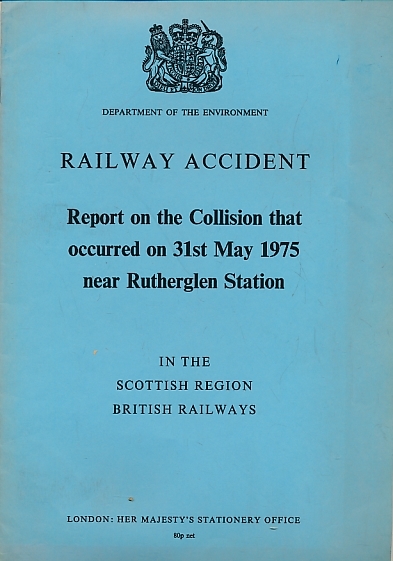 )ctober 1974 to May 1975. 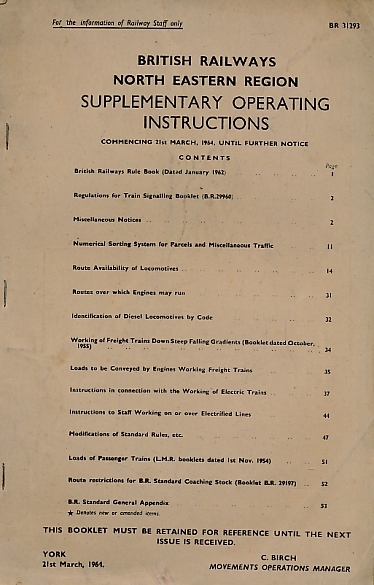 British Railways. 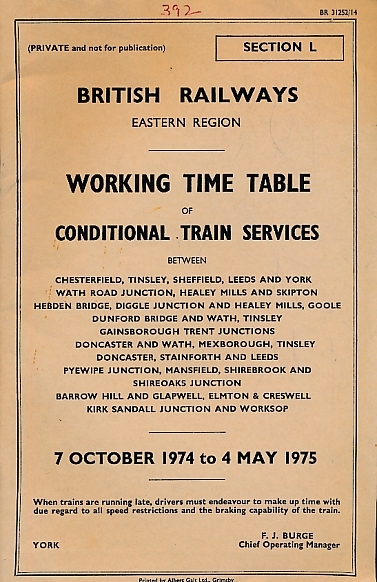 General Appendix to Working Timetables .... October 1972. 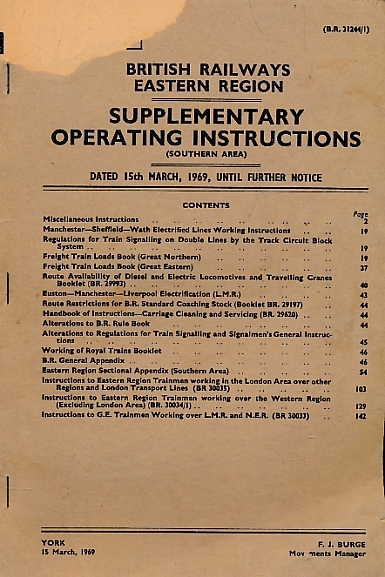 British Railways London Midland Region: Supplementary Operating Instructions. 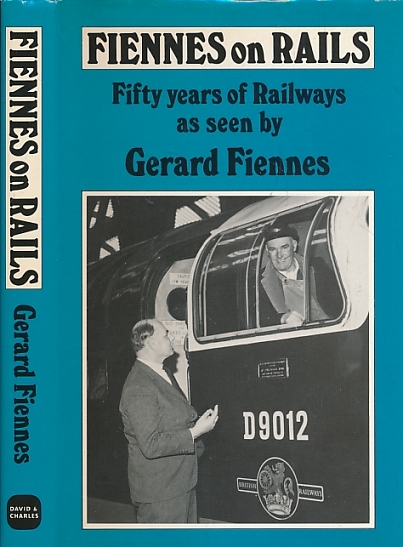 October 1964. 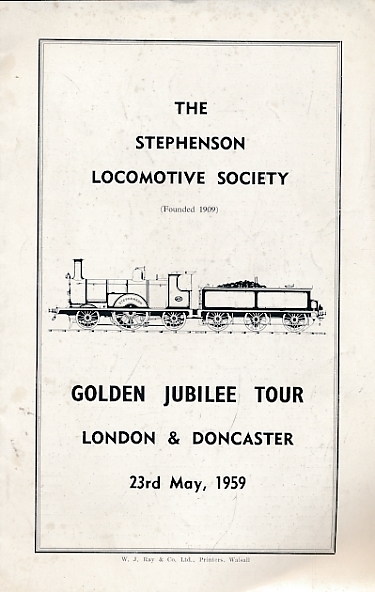 Golden Jubilee Tour London & Doncaster. 23rd May, 1959. 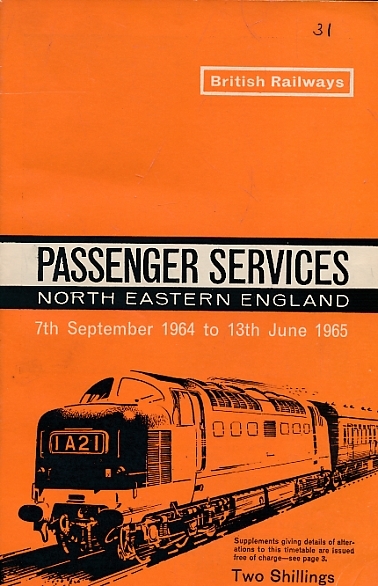 British Railways Passenger Services, September 1964 - June 1965. North Eastern Region. 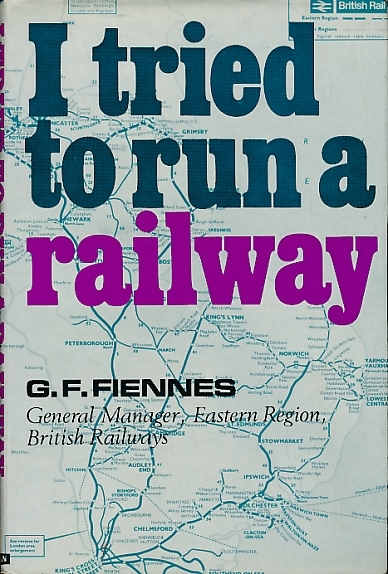 Northumberland Branch Lines 1. (Amble, etc.). Steam Memories 1950s - 1960s. No 79. 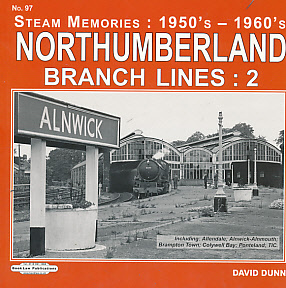 Northumberland Branch Lines 2. (Alnwick, Alnmouth, etc.). Steam Memories 1950s - 1960s. No 97. 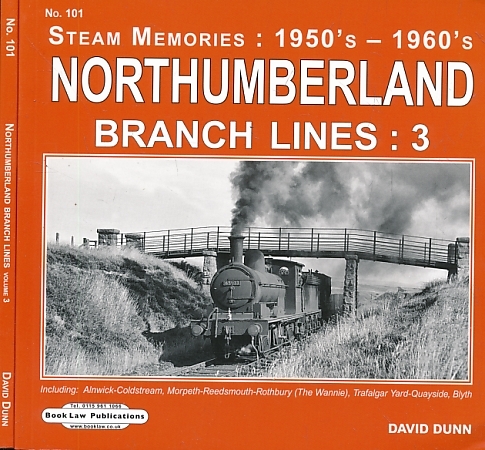 Northumberland Branch Lines 3. (Alnwick-Wooler-Coldstream; Rothbury; etc.). 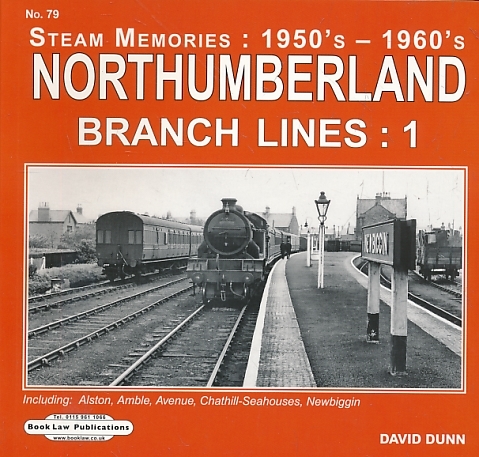 Steam Memories 1950s - 1960s No 101. 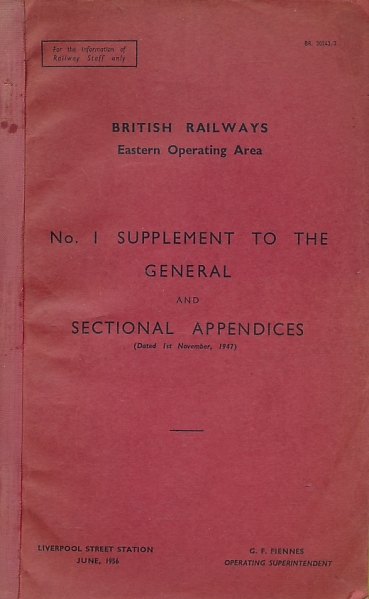 British Railways Eastern Operating Area: No 1 Supplement to the General and Sectional Appendices. June 1956. 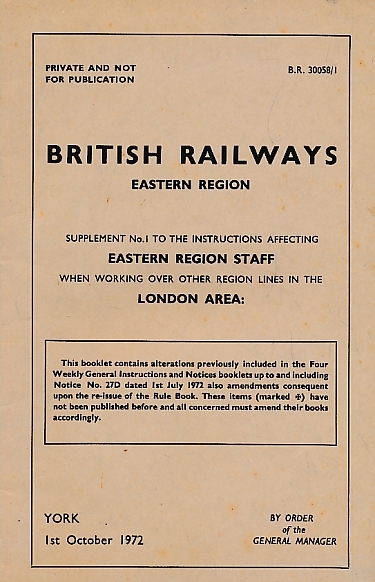 British Railways Eastern Region: Instructions Affecting Eastern Region Staff when Working Over Other Region Lines in the London Area. 1970. 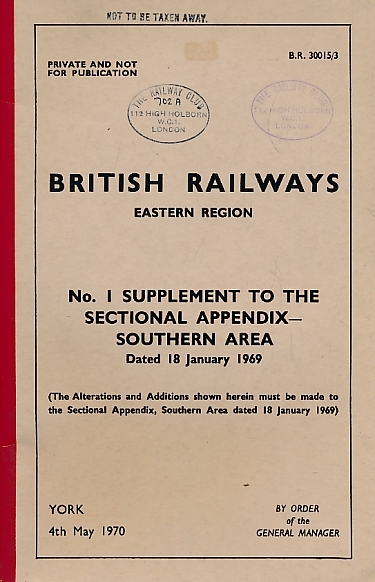 British Railways Eastern Region: No 1 Supplement to the Sectional Appendix - Southern Area. May 1970. 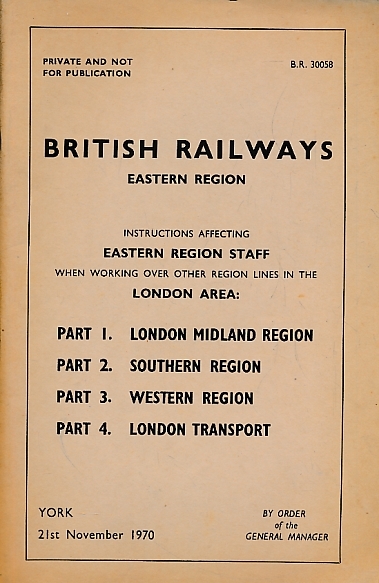 British Railways Eastern Region: Supplement No 1 to the Instructions Affecting Eastern Region Staff when Working Over Other Region Lines in the London Area. 1972. 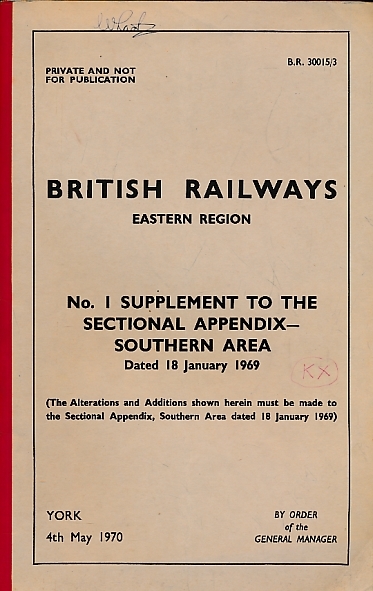 British Railways.Supplement No. 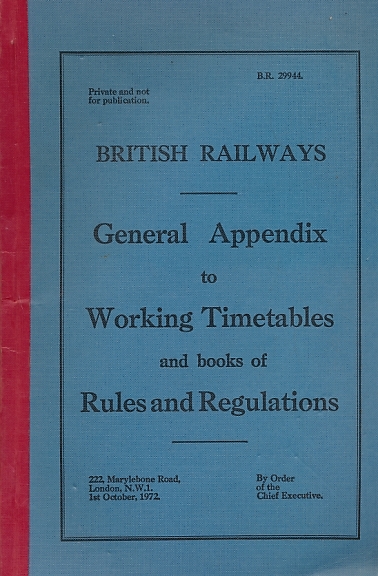 4 to the Generalal Appendix to Working Timetables.1971.